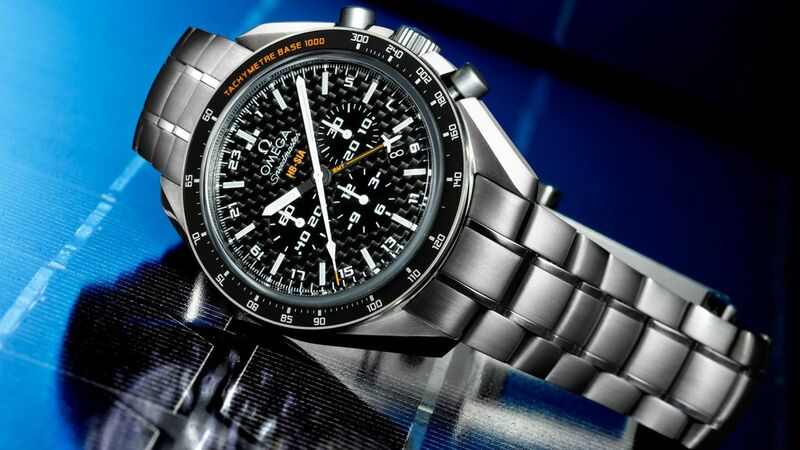 The Speedmaster is easily the most famous and collectable member of the Omega lineup. 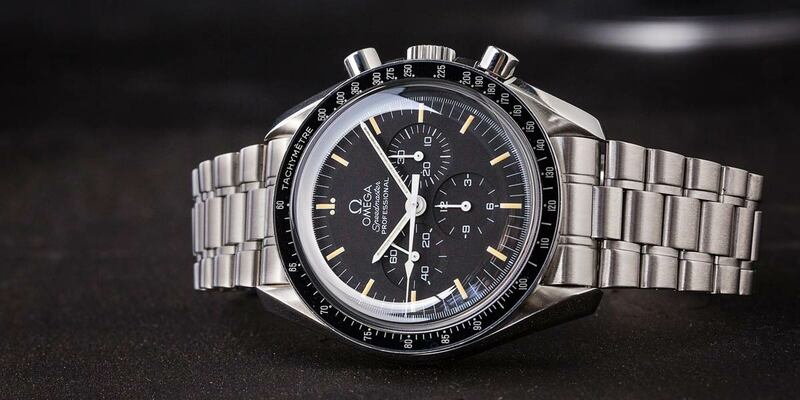 Since their initial introduction in 1957, Speedmaster watches have been manufactured in an impossibly diverse range of shapes and forms, and powered by everything from classic, manually wound movements, to state of the art, analog/digital hybrid quartz movements that pack an impressive list of features and functions. Today, Omega’s collection is larger and more diverse than ever, and while the Speedmaster lineup slightly changes from one year to the next, here is a quick overview of the different Speedmaster watches that are currently in production. The classic Omega Speedmaster Professional Moonwatch has changed very little since it was first introduced more than 60 years ago. 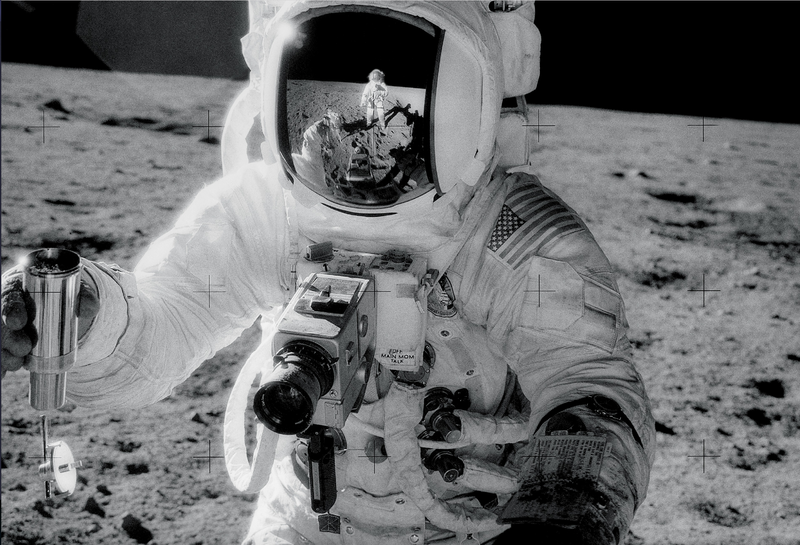 The Moonwatch is the most classic and traditional iteration of the Omega Speedmaster that still remains in existence today. 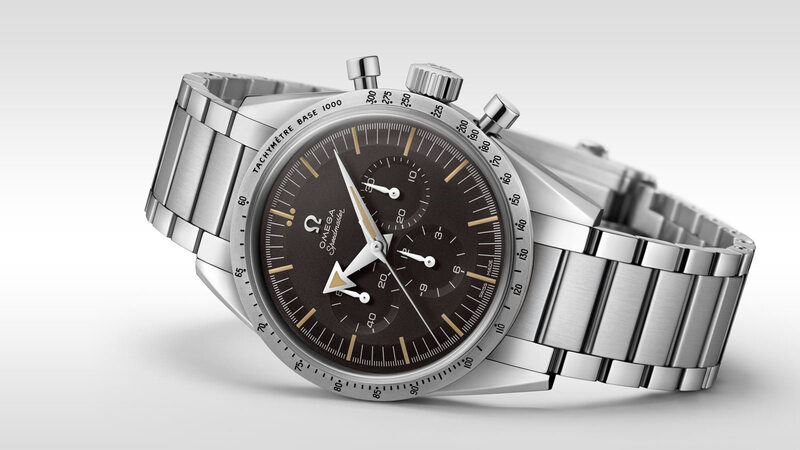 While Omega still manufactures a version of the Moonwatch with a Hesilite (acrylic) crystal and a manually wound movement, the “Moonwatch” category within the Speedmaster collection has been expanded to include a range of watches, with both Hesilite and sapphire crystals, and with both traditional, manually-wound movements, and with Omega’s new, state-of-the-art, self-winding, Co-Axial movements. The 60th anniversary edition Omega Speedmaster ’57 is a faithful reproduction of the very first version from 195 (Image Credit: Omega). The Speedmaster ‘57 is the vintage-inspired collection of Speedmaster watches that recall the design language of the original Speedmaster from 1957. Available as either a limited-edition 60th anniversary version (a close recreation of the original 1957 model), or as a self-winding, Co-Axial re-imagination with a sapphire crystal, both iterations of the Speedmaster ‘57 feature steel bezels with “broad arrow” hour hands, and offer a noticeable aesthetic departure from the classic Speedmaster Moonwatch – while still staying true to the history and roots of Omega’s most celebrated line of timepieces. 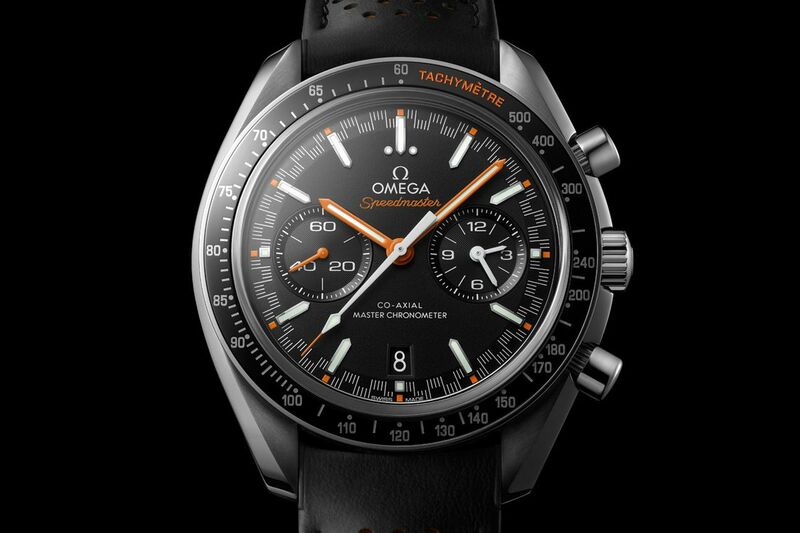 The Omega Speedmaster Mark II is a significant aesthetic departure from the classic Moonwatch (Image Credit: Omega). The Mark II Speedmaster first made an appearance in 1969, and offered a fresh take on the classic design of the Omega Speedmaster Moonwatch. With its streamlined case and tachymeter bezel printed on the underside surface of its crystal, the Mark II was a significant visual departure from the traditional Omega Moonwatch. The modern incarnation of the Mark II Speedmaster retains much of the same overall aesthetic of the original model from 1969; however it has had its internals upgraded, and is now powered by one of Omega’s self-winding, Co-Axial movements. 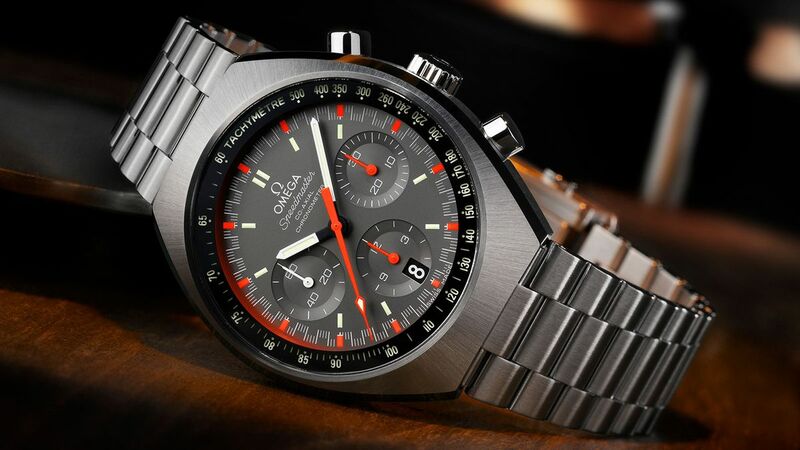 The Omega Speedmaster Racing has bright colorful accents and is a tribute to Omega’s automotive racing heritage. The Racing collection pays tribute to the Speedmaster’s connection to the world of motor sports. Before it became famously associated with astronauts, the moon landing, and space exploration, it was a chronograph intended for the automobile-racing crowd. With splashes of bright color and other racing-themed design touches, such as a checkered, “alternating” minute track, the Speedmaster Racing collection is available in both 44.25 mm and 40 mm (Speedmaster reduced) sizes. However, regardless of the case size, all Speedmaster Racing watches use self-winding, Co-Axial movements, rather than manually-wound calibers like those found in the original Moonwatch. 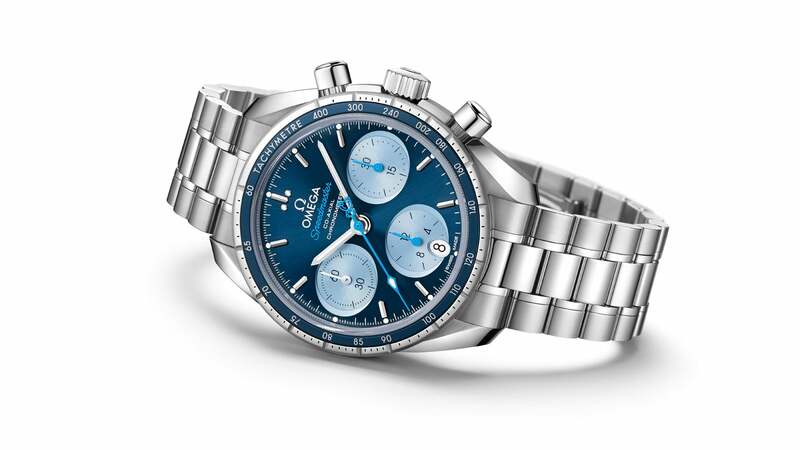 The Omega Speedmaster 38 is a fresh and slightly smaller take on Omega’s classic chronograph (Image Credit: Omega). The Speedmaster 38 expands upon Omega’s “Speedmaster reduced” watches, and offers much of the same iconic styling and functionality of the classic Speedmaster Moonwatch in a smaller and more compact overall package. Today, all Speedmaster 38 watches house one of Omega’s self-winding, Co-Axial movements, and the collection offers a diverse range of colors that will appeal equally to both men and women. Additionally, nearly all Speedmaster 38 watches feature oval-shaped sub-dials and date windows, which give them a unique aesthetic and help set them apart from the full-sized, Speedmaster watches. The Omega Speedmaster Solar Impulse HB-SIA GMT is made from titanium and features an additional 24-hour hand for tracking a second time zone (Image Credit: Omega). The Solar Impulse HB-SIA GMT Speedmaster is Omega’s tribute to the Solar Impulse project, and its ambitious goal of flying around the Earth in a plane that is powered by only the energy from the sun. With its 44.25 mm titanium case and carbon fiber dial, the HB-SIA GMT is a bold and modern interpretation of the Speedmaster that is powered by one of Omega’s self-winding, Co-Axial movements. In addition to the Speedmaster’s usual chronograph functionality, the Solar Impulse edition benefits from the added features of a date display and a 24-hour hand, which can be used to track a second time zone. 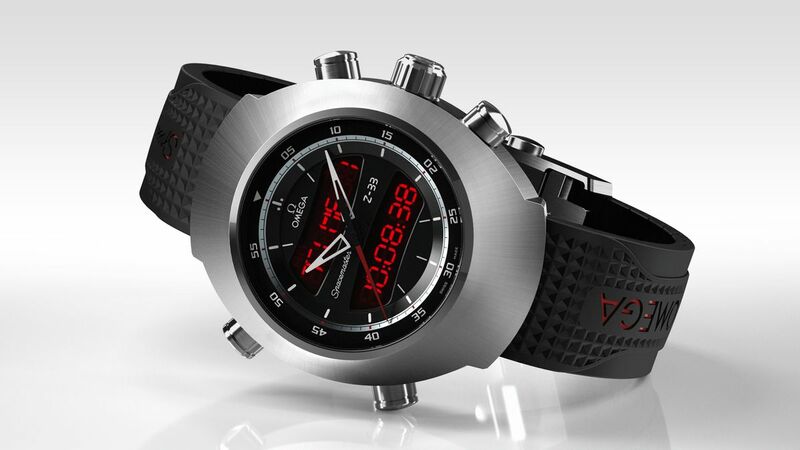 The Omega Spacemaster Z-33 and Speedmaster X-33 watches are powered by multifunction quartz movements (Image Credit: Omega). The X-33 and the Z-33 are the quartz-powered, analog/digital hybrid Speedmaster watches that offer unparalleled functionality and accuracy within the Speedmaster collection. With titanium cases and thermo-compensated, multi-function movements, both the X-33 and the Z-33 are highly advanced timepieces with dedicated digital functions specifically designed for pilots. A limited edition, yacht-racing version of the X-33 also exists (the X-33 Regatta), which swaps out some of the pilot-specific functions of the Skywalker X-33 for some equally advanced features that allow users keep track of their boat races from pre-start to finish.